← How to convert pcl to jpg via a command line? 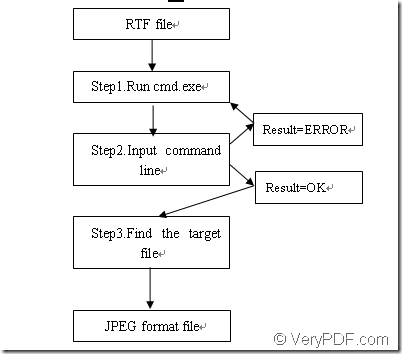 How to convert rtf to jpeg? 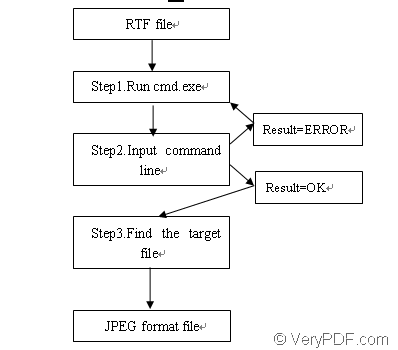 The form showed in Figure1 is the flow path of coverting rtf to jpeg format file. To realize the whole conversion of rtf to jpeg,you need two important things which are conversion tool and conversion commands. HTML Converter Command Line allows you to create previews or thumbnails of web pages in a number of different formats, such as TIF, TIFF, JPG, JPEG, GIF, PNG, BMP, PCX, TGA, JP2 (JPEG2000), PNM, etc. It also allows you to convert web pages to PDF, PS (postscript), WMF, EMF vector formats. 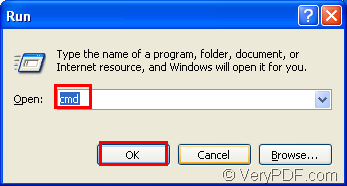 You can download HTML Converter Command Line at http://www.verypdf.com/htmltools/htmltools.zip and read user manual at http://www.verypdf.com/htmltools/htmltools-manual.htm. Commands are simple to remember and use.They are very fast even on a quite slow machine. The content below are the interpretation to the flow path. 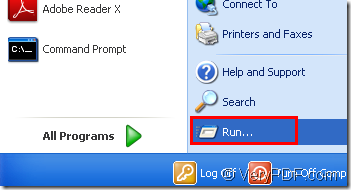 You have two method to run cmd.One is clicking “start”—“run” and input “cmd” in “open” edit box,then click “OK” button,like Figure1 and Figure2. 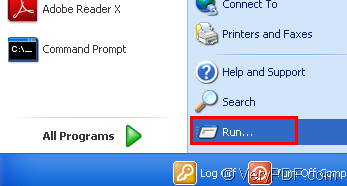 The other one is to use hot key “Windows” + “R” to open the dialog box in Figure2. The command lines which contain called program,source file and target file are very easy.Please see Figure3. If you can see “result=OK” framed by red rectangle in Figure3,the conversion of rtf to jpeg is successful. "C:\Documents and Settings\admin\Local Settings\Temp\htmltools\htmltools.exe" is the path of called program—htmltools.exe. "C:\Documents and Settings\admin\Desktop\New Folder (2)\jingle bells.rtf" is the path of source file. bells.jpeg is the name of target file. You can specify the directory of target file by yourself.If not,the file will be saved in current directory by default. Step3.Find the target file.Please Figure4. You can see three target files because there are more than one page in source file.They are divided into many single file without any content loss. How to convert MS Office Excel documents of XLS to PCD? How to print documents of MS Office to tif? How to convert format emf to tif in a command line? 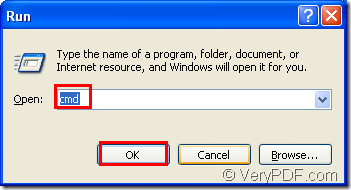 How to control orientation to output PDF file when convert HTML file to PDF file by htmltools.exe command line application?